Um. Yum. Seriously worthwhile indulgence going on here. My girls were a bit skeptical when I told them I was making patty melts for dinner. They’re usually skeptical, that’s nothing new. They were on board though when I explained to them just what a patty melt is; a hamburger inside a grilled cheese sandwich (I didn’t mention the caramelized onions at that point). What meat, cheese, and bread lover wouldn’t be on board?? My workaholic husband even came home in time to eat dinner with us when I told him we were having patty melts. 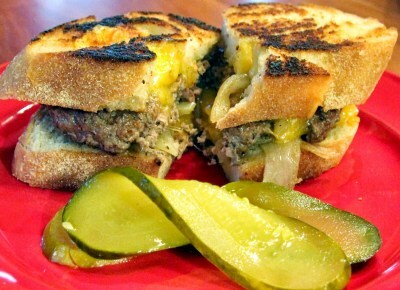 They are a bit more work than your average burger, but I promise they are worth it! 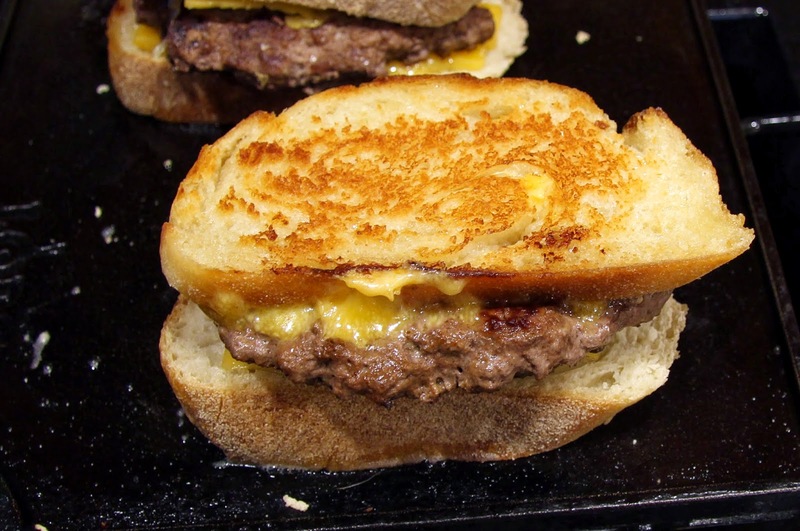 I’m a firm believer that if you’re going to eat something you consider an indulgence, like a patty melt, it had better be the best patty melt you can source. Making it yourself ensures you will have it just the way you want it with the quality of ingredients you like. 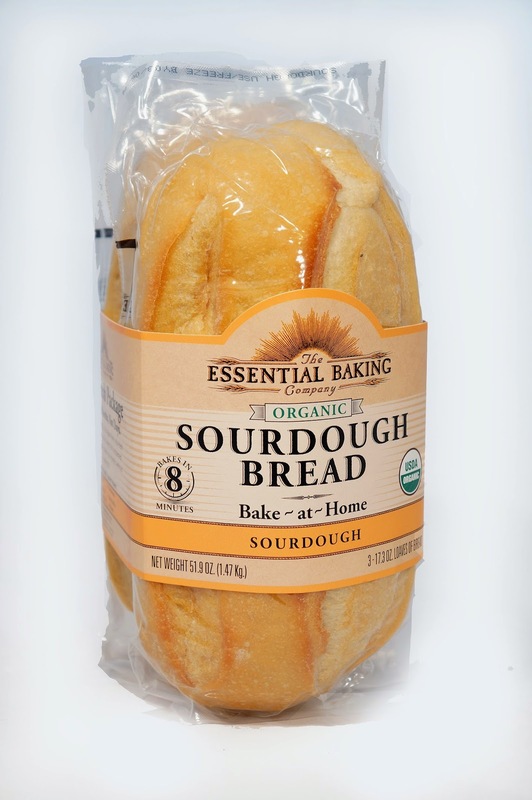 For me, that means this really delicious bake-at-home sourdough bread I get at Costco, organic ground beef and Tillamook cheddar cheese (I get those things at Costco too). If you are a purist and want to stick to the tradition of rye bread and swiss cheese, by all means, make the substitution! It’s your patty melt and this is really more about showing you the technique if you’ve never made one. There was no way I was getting the girls on board with that combo so I did what I had to do and have no regrets but I love the rye and swiss version too! Preheat large skillet, cast iron if you have it, on the stove over medium-high heat. Peel and slice onion in half, then cut in 1/4 – 1/2 inch thick slices. 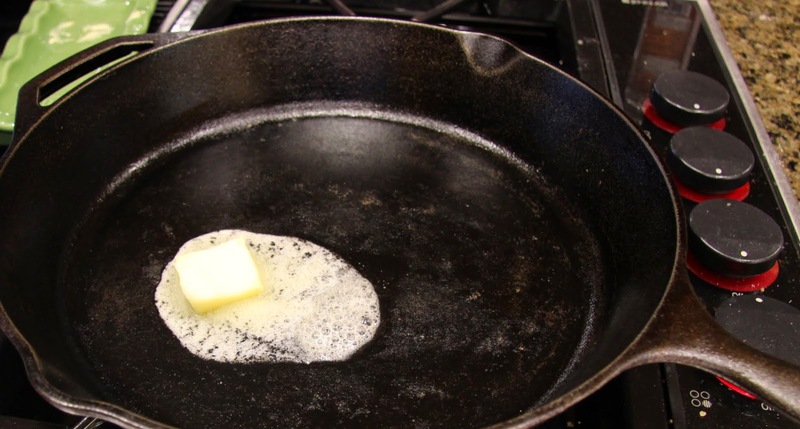 Place 1 tablespoon butter in skillet. Add onions, stir in butter, until they are sizzling, then turn down the heat to low-medium and cook for about 20 minutes, stirring occasionally. 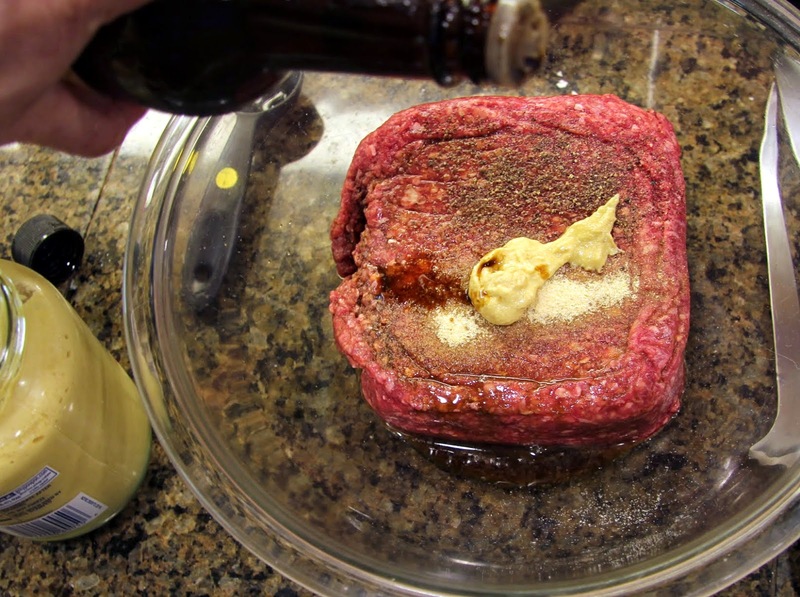 Meanwhile, in a mixing bowl, combine ground beef with salt, pepper, garlic powder, Worcestershire sauce and Dijon. 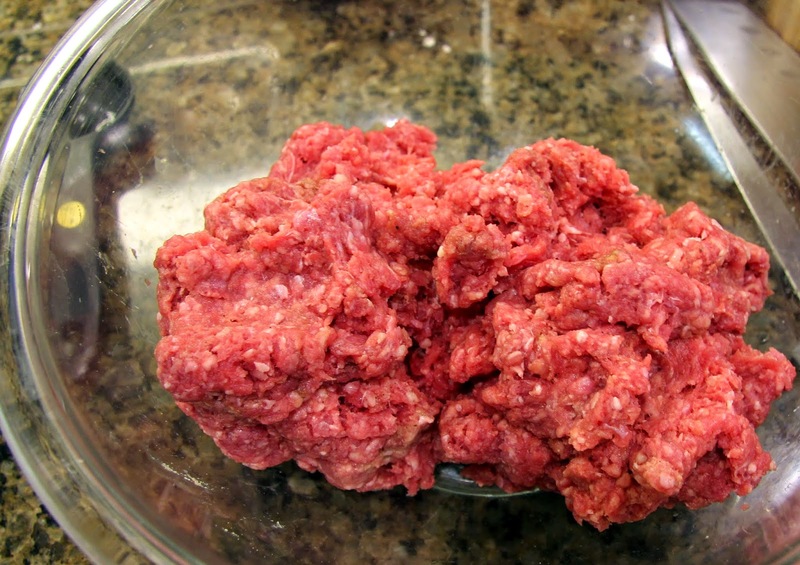 Use your fingers and a light touch, working the ground beef only until all the ingredients are fully combined. 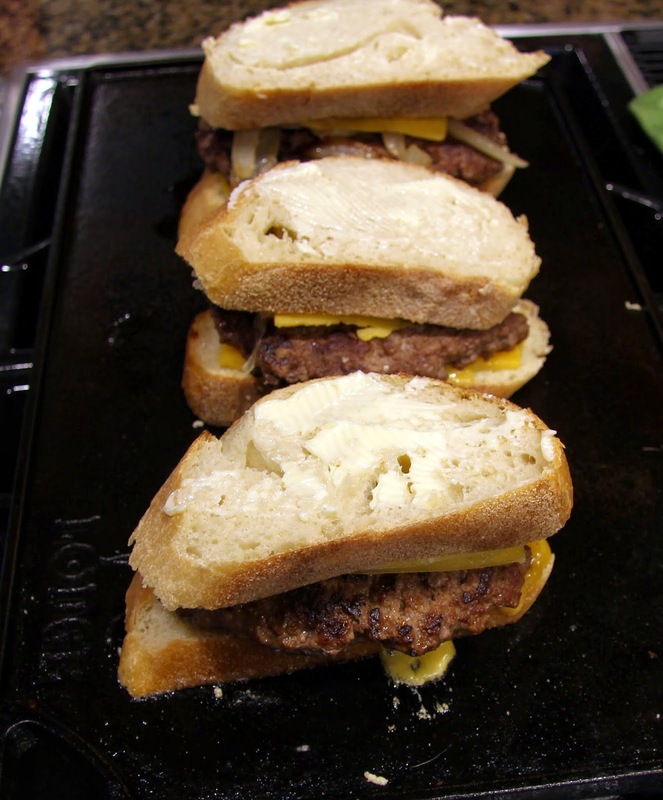 Form into thin, large patties that will fit nicely inside the bread. 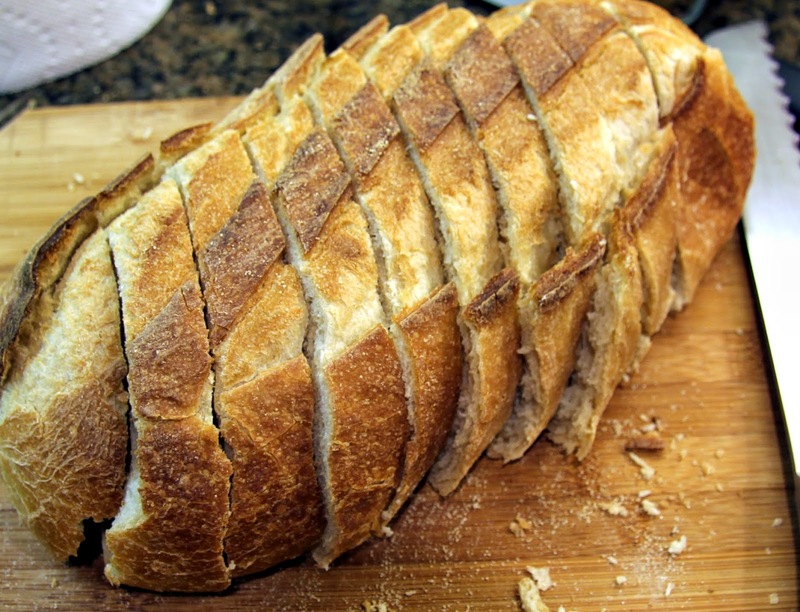 Slice loaf of bread into at least 8 slices. I will admit I wish I had sliced mine slightly thinner but it worked. Slice it on the bias rather than straight across so you get as much surface area as you can. 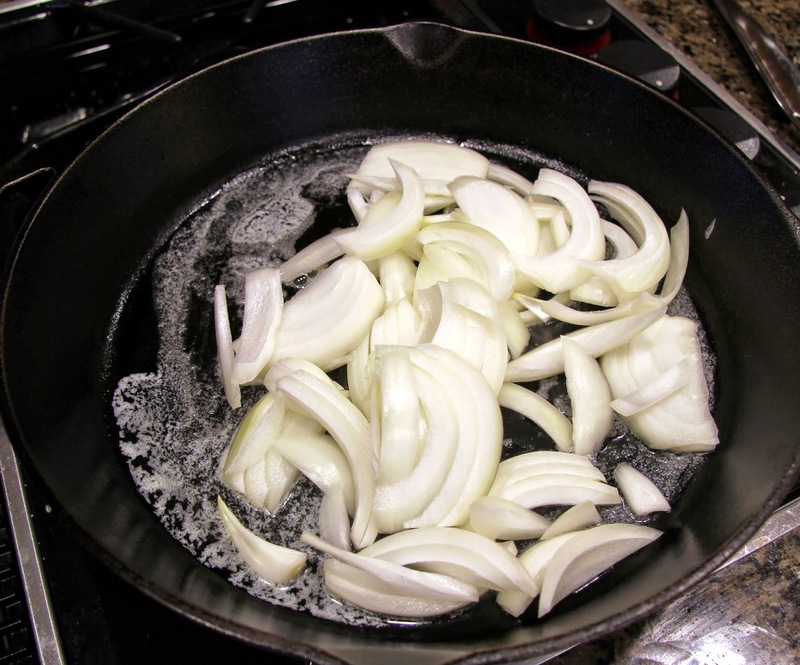 When the onions are soft and lightly browned (caramelized) at the edges, remove from skillet and set aside. 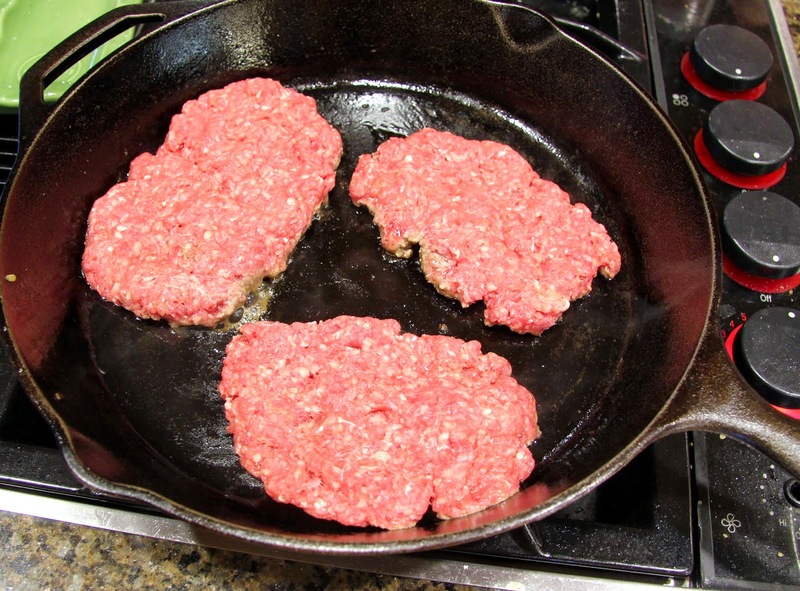 Turn pan up to medium-high to get nice and hot for the ground beef patties. 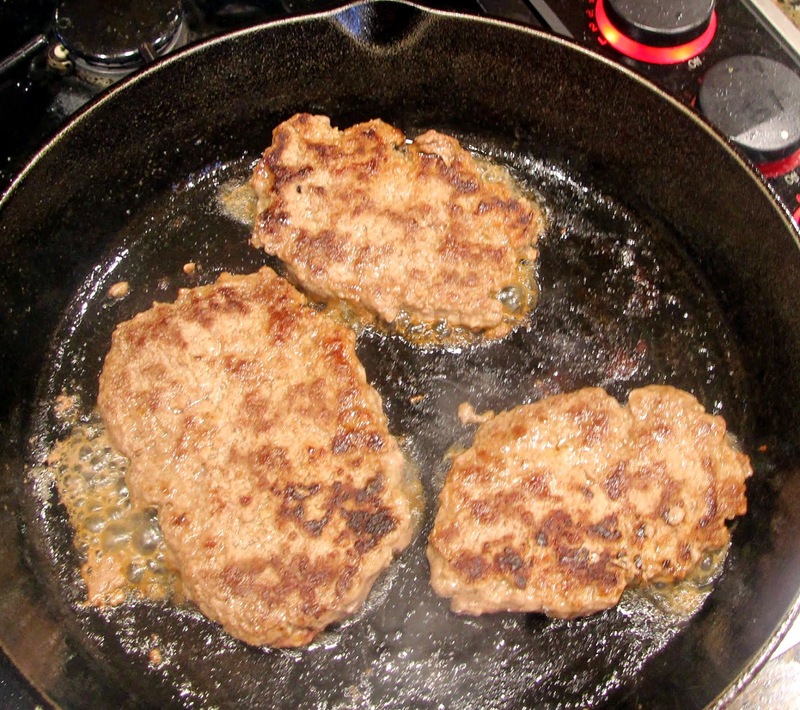 Once sizzling hot (test with a drop of water if you’re not sure) place patties down. I could only fit three in my pan but it was fine, they cook pretty fast being so flat. Cook until a nice brown crust is formed (about 3 minutes) then flip and cook another 3 – 4 minutes depending on thickness and how done you like your meat. 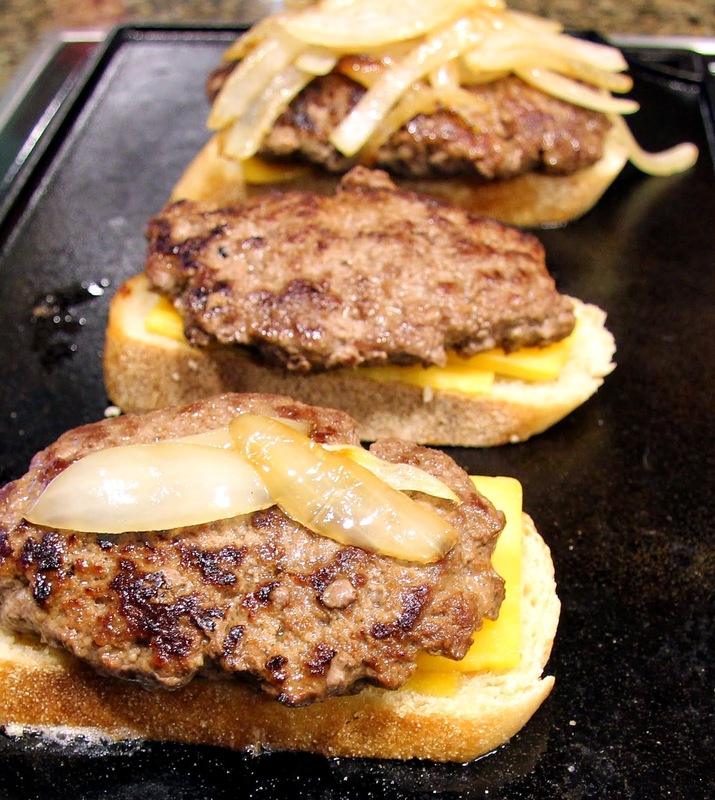 Go ahead and preheat another skillet, flat top griddle or panini press to medium heat at this point so you are ready to grill your patty melts. I have a Lodge cast iron griddle that lives on my stove because I use it for many different things. 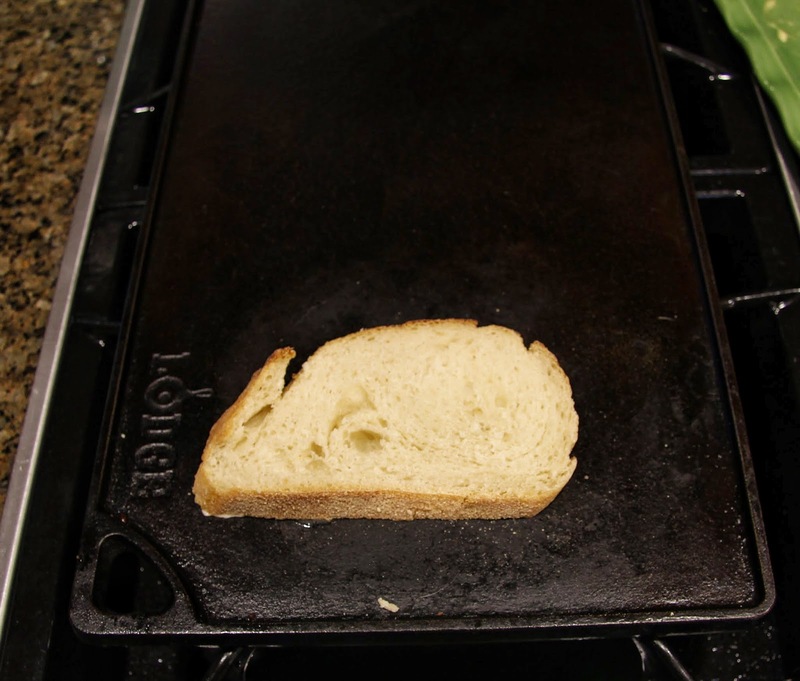 To begin assembly, generously butter 4 slices of bread on one side and place on preheated skillet, flat top griddle or panini press. 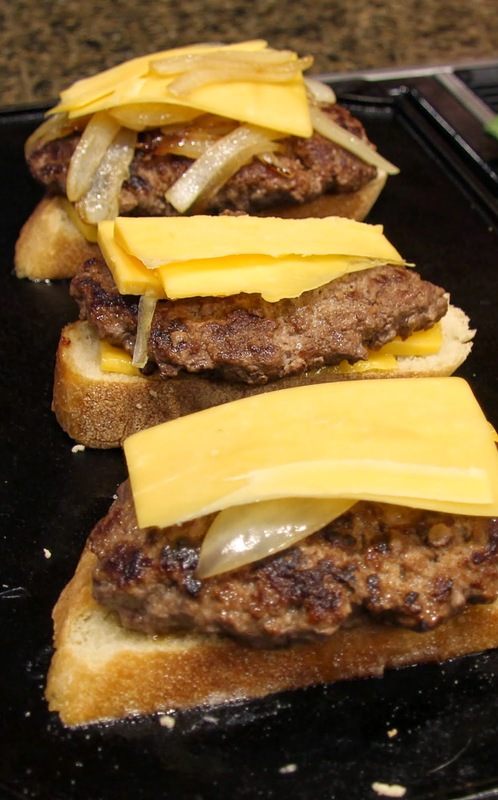 Top each slice of bread with a slice or two of cheese, followed by a beef patty, onions (or not, depending on who wants them), more cheese and another slice of bread, buttered on the top side. Grill one side until the bread is golden brown, then flip and repeat. 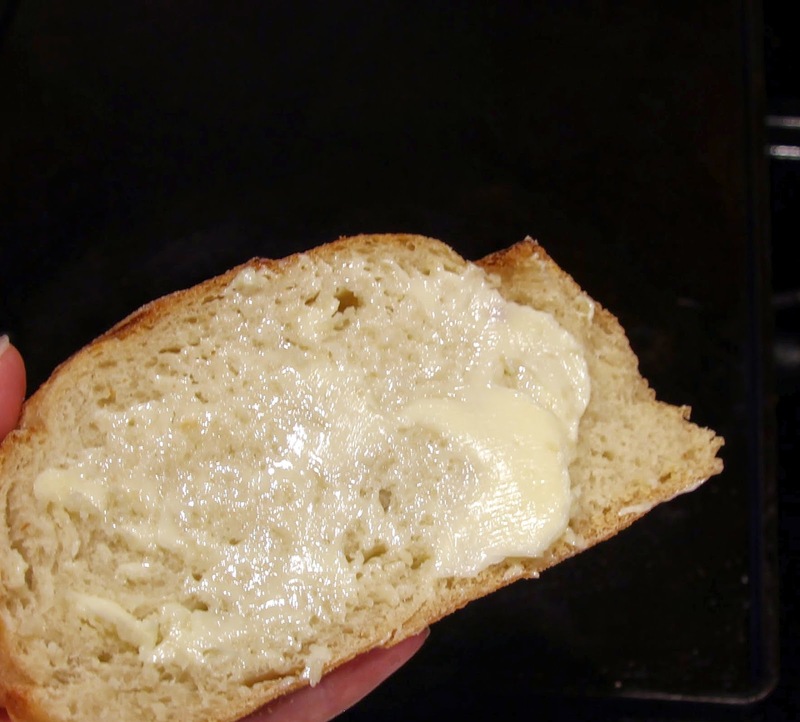 If the bread seems to be browning too quickly for the cheese to become melted, turn your heat down to low-medium. Remove from heat, cut in half and serve with condiments of your choice. I went with ketchup for a bit of sweetness and dill pickle to counter the richness, I was very happy. Bob and the girls added nothing and were very happy as well.